Before I had Zoe, I didn’t know what a splash pad was. Back when I was a kid (you know – a thousand years ago), we simply ran through the sprinkler or went to the beach or into a pool. But now that I’m a toddler mom in the marvelous midwest, I get a lot of summer splash pad time. And I love it! I do believe splash pads are the best invention ever. From a kid’s perspective, it’s pure unadulterated fun (until you get a water jet straight up the nose). From a parent’s perspective, there’s far less fear of drowning or other water safety mishaps – and there’s no need for a parental swimsuit, though you can certainly wear one if that’s your thing. Plus, am I the only one who gets a fun, slightly naughty feeling from actually playing a fountain? It’s a win no matter how you look at it. 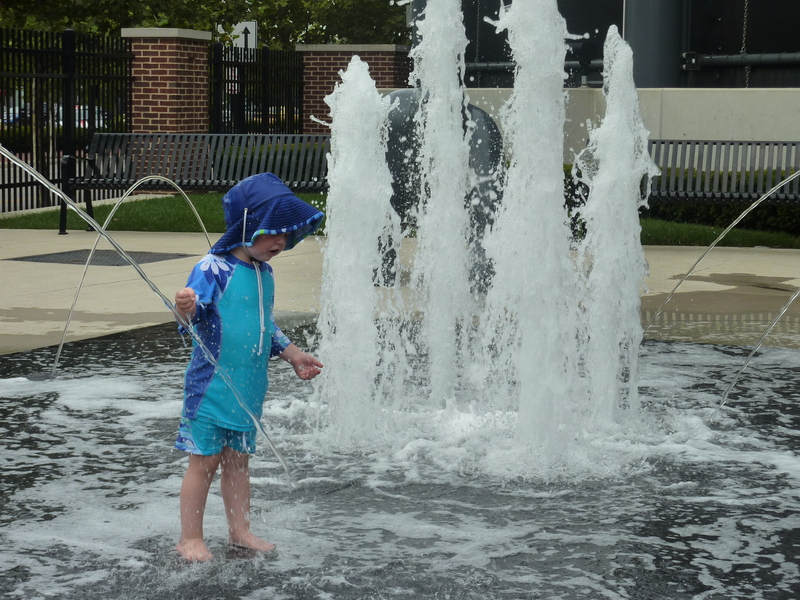 So, without further ado, here are our five favorite FREE splash pads in central Ohio. These are in order of preference from number five down to the very best – number one. Enjoy! 5. Village Green in Powell. Right behind Powell’s village hall is a playground with an awesome splash pad. There are some unique elements here like a water spray tunnel that make it really fun, plus there are picnic tables for parental seating. As with all splash pads, get here early to beat the rush. Most of them open at 10 am. 4. Easton. In the town square area between Brio and the Cheesecake Factory is the dancing fountain splash pad. It has fun lighting so this one is really nice for summer evening fun. 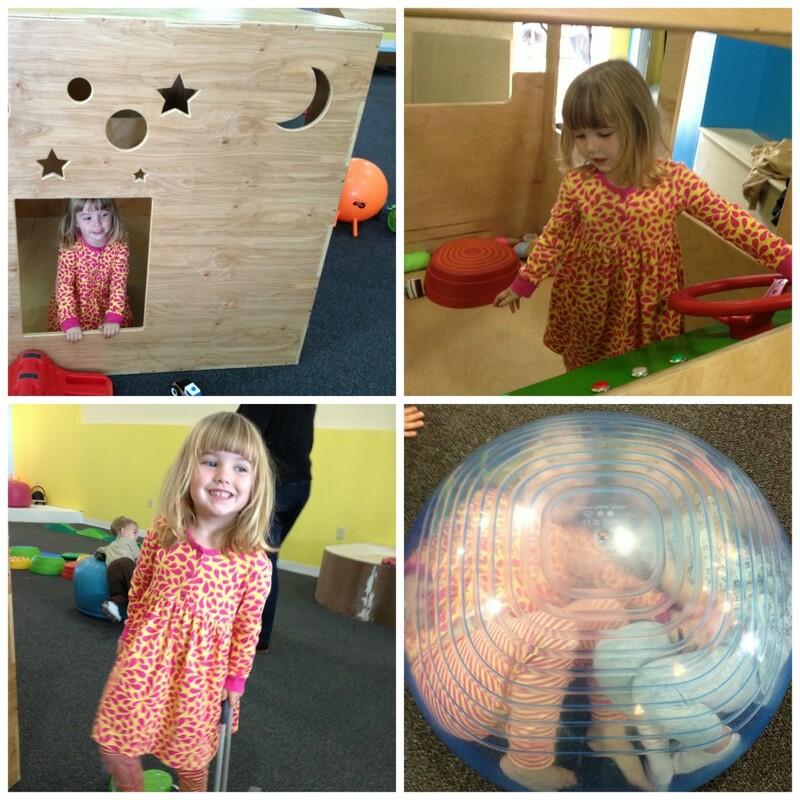 This is typically packed, especially on weekends, but it’s the closest one to us so we are sure to hit Easton’s splash pad several times a summer. 3. Polaris. 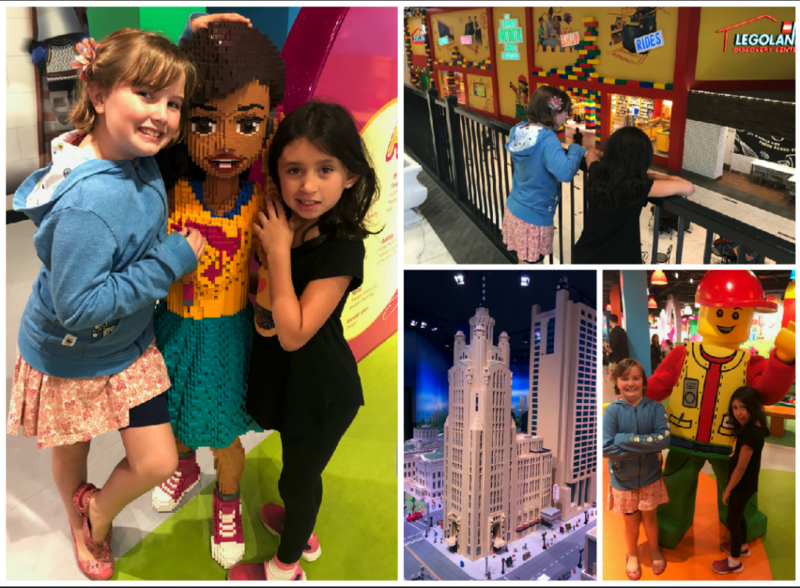 We discovered the Polaris splash pad last summer – it’s relatively new and located in the newer outdoor “lifestyle center” section of Polaris Fashion Mall. It’s outside near Cantina Laredo, Benihana and the Cheesecake Factory. This is a relatively simple splash pad – not a whole lot of bells and whistles – but it gets the job done. And, this one is hardly ever crowded which is a huge plus. 2. Ballantrae. What can I say about this mythical “Bunny Park”? We love it. finally made our way here this summer – it’s not easy to find and GPS doesn’t seem to help – and it’s fantastic. A sculpture of four giant dancing hares on a hillside crown this gem of a splash pad complete with cave-like setting, leprachaun faces built into the rock and a nicely varied, changing spray pattern. There’s not much parking or parent seating, but once you’re here, it’s awesome. We had good luck going at or just after dinner time (not too crowded) – but be aware the fountains shut off automagically at 8 pm sharp. 1. Scioto Mile/Bicentennial Park. A new addition to the city of Columbus’ waterfront last summer, this is truly the best splash pad in central Ohio for multiple reasons. First, it’s HUGE – it feels like a mile of dancing fountains. Also, it’s packed with diverse, fun water features like dancing jets, mist sprays, puddles to splash in, and timed jets that shoot up high in the air on the hour. Then, the location and layout are in a gorgeous riverfront park setting with the Columbus skyline behind you. And, if you or the little ones get tired of playing in water, a short walk will take you to the Columbus Commons for ice cream, carousel rides and even more family fun. This is a can’t miss! There you have it – five wonderful splash pads all within about 20 minutes of each other. Just one more reason why Columbus rocks in the summer time! 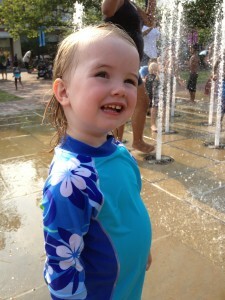 So what’s your favorite splash pad in central Ohio – have I missed any of the great ones? I’d love to hear in the comments below. There is one at North Bank Park on the opposite end of the Scioto Mile but it is reaaal basic. They also have one at Huntington Park where the Clippers play. That one is fun because not only do you get a baseball game, you get to play in the fountain as well! Pro tip: that one is on the smaller side and can get crowded depending on how many kids are there. Nice – I did not know about these. Thanks! Bookmarked this! We are closest to the Easton one and I don’t ever recall having seen it. Guess we better explore more. The Easton one is great – they even provide free towels to kids during core shopping hours. Can’t beat that! I love these! I just recently discovered the one in Powell which is fabulous, plus they’ve added a very large covered Pavilion now so us parents can duck under for a moment to hide from the sun! I did not know about Ballantrae and will have to check it out, thanks!